We are having the third longest stock market upswing in US history. The S&P 500 has nearly tripled since its low point on March 9th, 2009. In fact, it is up 194% since that time. In January of 2016, we saw the Bull Run slow down quite a bit. Now we have renewed concerns over whether or not President Trump can move his proposed tax cuts forward and the mounting threat of potential issues with North Korea, to name but a few. Equity-based investments fluctuate in value depending on how the equity markets are performing. When the market is going up, we are happy. But when it heads south, it’s painful to watch our account values go down. 2008 and 2009 are painful reminders of what can happen when the market performs poorly. A safe alternative to equity markets are annuities. An annuity can protect your principal value, insuring your principal remains intact, even in a down market. Many who are nearing retirement do not want to risk their principal at such a crucial stage in the game. Equity markets are an unsettling place to be when nearing retirement, especially with a market that seems like it will soon correct itself. Many retirees have worked a lifetime to save for retirement, and a loss of 10-30% of their funds would be a catastrophic blow for their future. 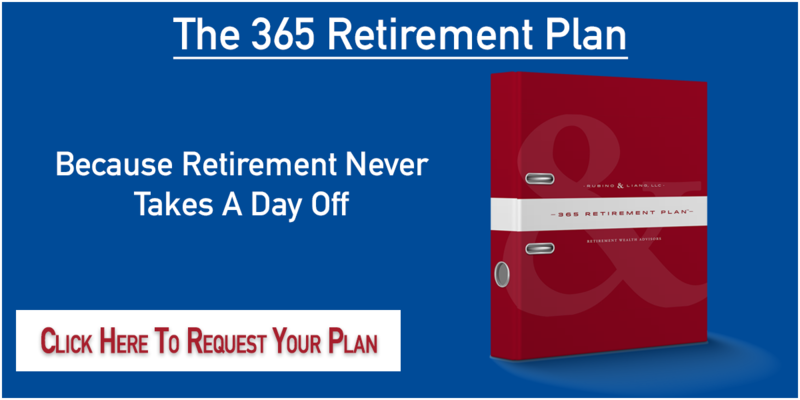 Retirement would look a lot different is this happened – one could be forced to work longer than anticipated, or your retirement funds would have to work that much harder to earn the interest needed to provide you with the income needed to retire, therefore requiring one to make riskier investments at a time when you should be looking at conservative positions. So, if the markets make you nervous as you are approaching retirement, an annuity is something to consider for a portion of your assets. 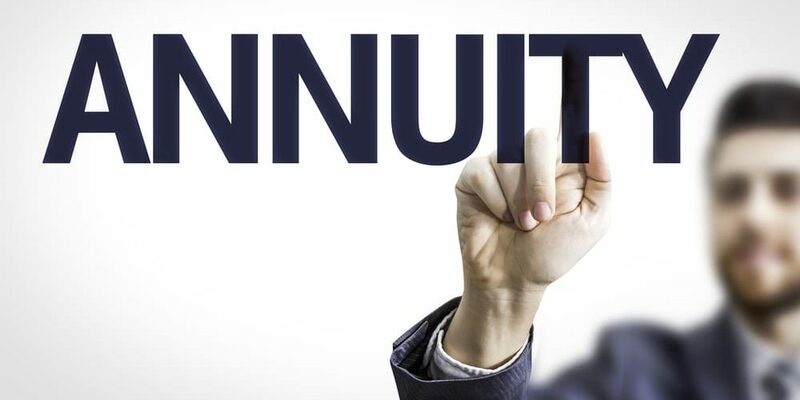 Fixed annuities can offer guaranteed minimum returns. Some annuities will also allow you to participate in an index, such as the S&P 500. Your return is tied to the performance of a particular index, and offers what is called a “participation rate” or “cap on return.” Simply put, in the following example, if the index goes up 10%, you would earn 7.5%. This is called at 75% participation rate. You participate in 75% of the gain. The tradeoff of this cap is that in the event the index goes down, you might earn nothing, but you don’t lose anything. You are taking part in a portion of the upside, but not the downside. Some annuities offer a minimum return, and then stack on the returns of the index to that minimum, giving you an even higher return. In short, if you still want to participate in market-type returns, without risking your principal, a fixed index annuity may be suitable for a portion of your assets. Along with the many great features such as safety of principal, market-like returns, and predictable earnings, many fixed annuities offer a feature called an “income rider.” This rider is an added feature for a cost of approximately .85% to 1%, depending on the company, and, is designed to give you a lifetime income stream. If you are like most Americans, you don’t have a pension like firefighters, police officers, teachers and town/state employees do, but you are looking for a way to generate that same kind of income. The days of the three-legged stool no longer exist. Years ago, many retirees could count on Social Security, a pension from their employer, and their own savings to deliver the necessary income during retirement years. Today, most employers only offer 401ks rather than pension plans. These income riders can provide a guaranteed income for life of the individual, and a spouse if they choose the joint income payment. The income rider will act as your own personal pension. It will roll up at a rate of 4-6% each year, depending on the companies used, and in some cases, those are minimums. The income rider is a value that will grow over time and it is predictable and guaranteed. Each year that you choose not to “turn on” the rider, the lifetime income amount will increase in value, and therefore, your guaranteed income will increase each year (very similar to Social Security). This takes the guess work out of how much income you will be able to take from your savings and investments, and how much you can count on in any particular year. In a traditional investments, it is difficult to gauge how much income you can take from your saving each year because equity investments fluctuate in value. When the market goes down, and the value in your portfolio declines with it, you then have to withdraw funds to live, compounding the problem. Carving out a portion of money to provide guaranteed lifetime income is something to consider when looking at an annuity. The high cost of nursing home and long-term care insurance is one of the top three concerns of every retiree we see. A nursing home in the greater Boston area can cost up to $14,000 a month. Long-term care insurance is costly and can be upwards of $5,000-$6,000 per year in premiums. Some individuals who can afford it and want long-term care insurance are uninsurable due to a preexisting illness or sickness. How do they solve for this issue? Many people are forced to roll the dice, cross their fingers that they never need nursing or home care. In this case, if an extended stay in either is necessary, it will quickly wipe out a lifetime’s worth of savings. Many annuity companies that offer the lifetime income rider also include an additional enhanced benefit that provides for more income provided an individual is ill and is unable to perform two out of the six activities of daily living. For example, if someone is receiving $30,000 per year from their income rider and meets the qualifications for the enhanced benefit, this income would increase to $45,000. This additional income could help with at home care, or provide more income that could be used towards a nursing home bill. This feature is another reason why an annuity is something to consider for retirement planning. You never know what can happen. If you identify with these 4 concerns, do yourself a favor and contact us for a free consultation! We can put you on the road to worry-free retirement!